“The ancient Indian Seers discovered fifty principle acoustic roots (or matrikas) which, either alone or in combination, are at the root of all psychic expression. These fifty roots, on which they based the fifty letters of the Sanskrit alphabet, correspond to the fifty principle natural tendencies of the human mind, such as fear, anger, compassion, etc. These fifty natural tendencies combine together to give rise to the infinitely rich matrix of human thought. One or more of these natural tendencies are always active in the human mind at any given point of time to one degree or another, and the combination thereof produces the phenomenon we know of as human thought. When these fifty natural tendencies become completely quiescent, then the pure consciousness shines in its original, unaltered state. 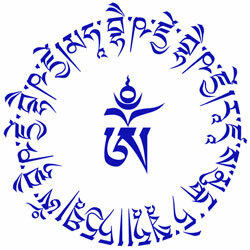 Among the various psychic tendencies, the acoustic roots which awakened the core tendencies of the individual mind became the subject of intense research; with the passage of time the processes of rhythmic chanting or the mantras were born which tuned not only the mind and the emotions, but the body and its glands as well to the subtle wave lengths of the ‘Self ’.